UPDATE for Sunday Ride - New meeting spot. With the trail riders in the south side of the park, parking may still be closed at our start time of 1:30 so we are meeting in the Eastern Glades Parking lot. This is PAID parking, $1 for 3 hours and the $$ goes to the park. Please, let anyone know who is joining you on the ride. 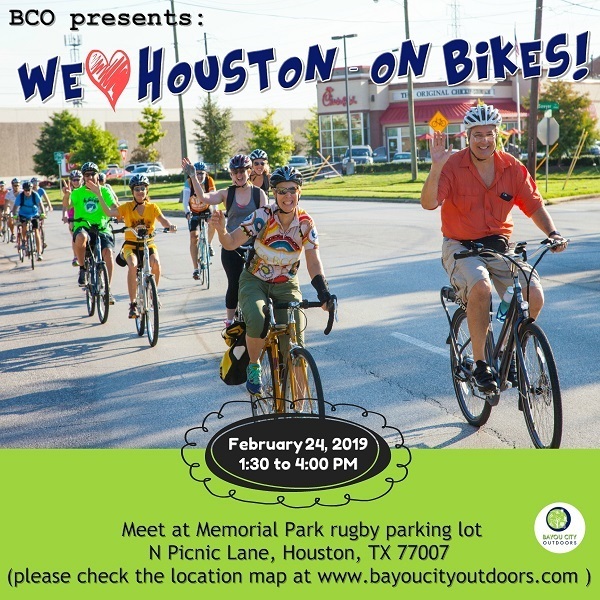 We Love Houston – on Bikes! Love is in the air and best experienced from the seat of your bike! We’ll start in the “lovely” Memorial Park and head towards the iconic “We Love Houston” sculpture. Along the way, we will swing by Love Park, cruise the bayous we love, check out some of the new bike trails you’ll come to love, and just generally have an endearing ride with friends in the bayou city. You can pick up a bike from Bike Barn who has a great rental shop at their Bayou Rental shop 105 Sabine St. Houston, Texas 77007 on Buffalo Bayou at Hidden Lake. Or, pick up a bike from a B-Cycle kiosk around town. Check their map and info here: http://houston.bcycle.com. 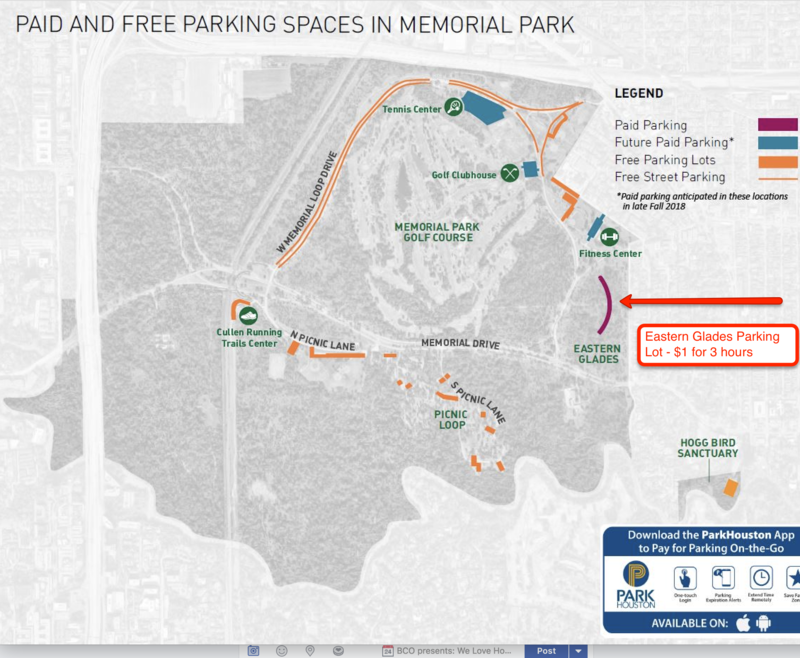 Please note though – we are starting at Memorial Park which is a distance from the local Bcycle stations.